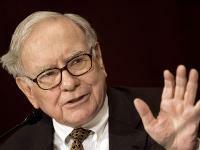 Workplace Democracy: the secret to Warren Buffet’s investment success? One of Warren Buffett’s best-kept investment secrets might be that he practices workplace democracy in managing his subsidiary companies. Few people may be aware that this innovative management strategy has contributed to the phenomenal success of Berkshire Hathaway’s holdings. Unlike most other conglomerates, whose executives exert tight control over their subsidiary companies and often make the major financial, operational, and strategic decisions their subsidiaries, Berkshire Hathaway apparently entrusts their subsidiaries with a high degree of discretion and with broad decision-making powers. Stanley D. Truskie, a program professor at the Fischler School of Education, Nova Southeastern University, and author of Leadership in High-Performance Organizational Cultures, wrote an opinion in the Miami Herald where he called for a new, “enlightened” style of management. Truskie argues that “old-style, top-down” management is outdated and that rigid, hierarchical organizations run the risk of falling behind in today’s rapidly changing competitive environment. Click here to read the entire opinion article.